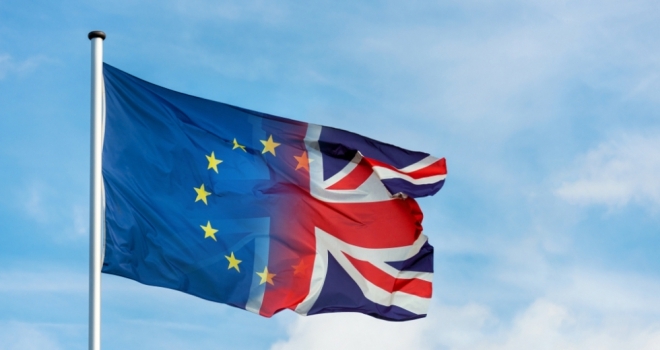 The latest data and analysis from TwentyCi has revealed that a continuing lack of stock and hesitancy amongst homeowners due to uncertainty surrounding Brexit is taking its toll on the property market. According to the figures, during Q1 new property instructions saw a 5.3% fall year on year, continuing the supply deficit in the market. Property exchanges rose 7.4% year on year, but asking prices fell 5.4% nationwide. The only regions where average asking prices are continuing to grow are East Midlands, West Midlands, Yorkshire and Humber. Key growth exceptions year on year show a millionaire property price divide on exchanges, with a 17% growth on £1-2m properties, 46% on £2-5m properties and a massive 66% increase in exchanges on homes over £5m, perhaps signalling greater investment by wealthier purchasers in real estate as the rest of the market brakes. There was also a 10% growth in single household property exchanges this quarter compared to 2018, while silver economy exchanges by 66+ year old purchasers were up 16% compared to Q1 last year. The latest analysis also reveals consistent house price growth in areas of the UK where more purchasers need a mortgage including Luton, Swindon, Bradford, Halifax and Chester (where 43.5-40.5% of properties are mortgaged). Areas with fewer mortgages have grown less positively or fallen over the last three years – for example, only 11.9-25.4% of properties in London are mortgaged with prices falling. Colin Bradshaw, Chief Customer Officer, TwentyCi, said: “The lack of properties coming to market combined with the continued hiatus on the outcome of the Brexit process is undoubtedly holding the property market back. The continued deferment of decisions by homeowners to enter the property market is holding back supply and in turn progression throughout the property ladder. Should we achieve an orderly exit from the EU and a two-year transition, then consumer confidence may return, fuelling an increase in both volume and momentum within the property market”. Over the last three years – from the EU referendum in 2016 to a potential Brexit this year the market has been as subdued as it has been since the 2008 financial crisis – but with a continuing lack of properties on the market. It’s also possible to see two trends in key areas of support for “Remain” and “Leave” – in particular the “Remain” London market showing a slight dip in property prices, while top “Leave” constituencies such as Boston, South Holland, Castle Point, Thurrock and Great Yarmouth show a small increase. This likely reflects some reluctancy to invest in the London property market during a period of uncertainty combined with potential buyers anticipating price recalibration after a decade of property price inflation. In Q1, rental properties continue to dominate property stock in most large cities and London. 70% of all London listings were for rental properties compared with an average of 50% in all other major UK cities as consumers are priced out of the buying process. In Newcastle-upon-Tyne, Manchester, Peterborough and Birmingham the rental proportion of housing ranges from 49-40% of housing stock. Year on year, Glasgow and Edinburgh have seen the greatest increase in rental activity of 15% and 14% respectively, as supply begins to balance demand as these cities become more rental prominent. Online agent market share is holding steady at around 7%, accounting for 7.6% of all exchanges in Q1 2019, up from 7.2% at the end of last year - but still a long way from the heady 20% market share forecast by several online agents. But notably the majority of properties comprising this 7% figure are for lower value properties under £200k and predominantly in the north of the UK. Until online agents start penetrating the market in the south and engage with more higher-value homeowners their growth and market share will continue to be capped. Colin Bradshaw, continued: “Moving beyond a 7% market share appears to be a major challenge for the online agents in the current property market. A fixed-fee structure alone does not appear to be a sufficiently compelling offer to deliver the volume of new instructions. Furthermore, the lack of penetration across the more densely populated conurbations within the south of the UK, which generally have higher-value properties, will be a source of concern for the major online agents”. TwentyCi property data covers all 30.6 million residential addresses in the UK and provides a snapshot of unusual property features including some that could provide a perfect antidote to Brexit as we head into spring. Saunas now feature in one in 52 homes in the UK, while if you fancy more of the ‘good life’ and less of the ‘rat race’ 712 homes in the UK have a chicken coop and 209 homes in their UK feature their own library.